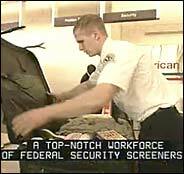 FICTITIOUS REPORTER: A public relations person using a false name reported on airport security. This video news release features a "reporter" who is a public-relations professional working under a false name for the Transportation Security Administration. Government agencies have been producing prepacked TV broadcasts for local news stations. POSITIVE STANCE: A report produced by the Pentagon emphasized military humanitarian efforts. 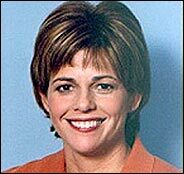 Karen Ryan was the "reporter" in several government-produced segments.